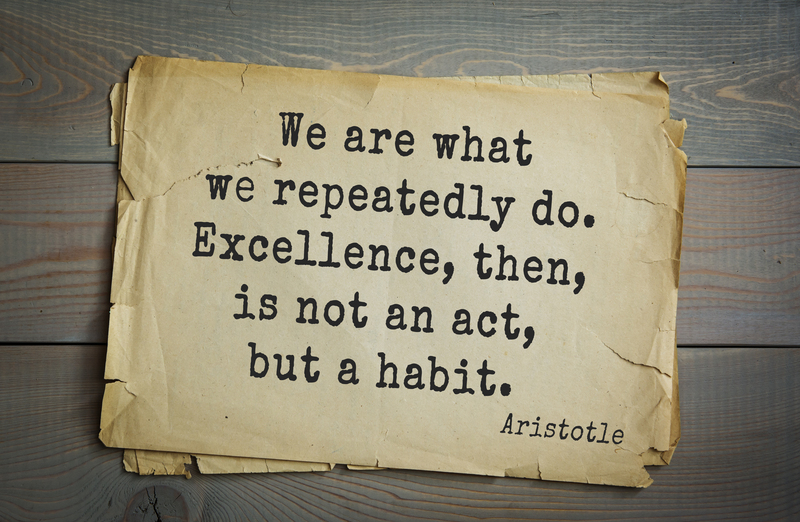 "We Are What We Repeatedly Do. Excellence is Not an Act, But a Habit"
One Planet Ops welcomes the start of our reflection updates to our citizens here at One Planet. Every Monday, we take some extra time at the end of our weekly company meetings for one employee each week to share inspirational and thought provoking reflections with the team to remind us of our core values. This week, Chelsea Pratte, who is apart of the Marketing team in San Ramon, shared inspirational quotes on how we can create the person we want to be by repetitive actions and thoughts. To possess any desirable character trait, you must start acting and thinking as if you already have it. When your thoughts and actions align with your ideals, your self-esteem will soar. Your self-beliefs have a huge effect on your thoughts and actions. However, your actions also have a huge effect on your self -beliefs. Therefore - by drastically changing our actions - you can drastically change your beliefs. That is to say - to be confident - you must start acting and thinking like a confident person. To be productive, you must start acting and thinking like a go-getter. When your actions and thoughts align with how you want to see yourself, you will begin to believe you are that person. Your subconscious mind will automatically assume that since you are behaving a certain way, you must be that type of person. With repetition, you can live at your highest standard and begin to produce excellent results. Check back next week for our newest company reflections.